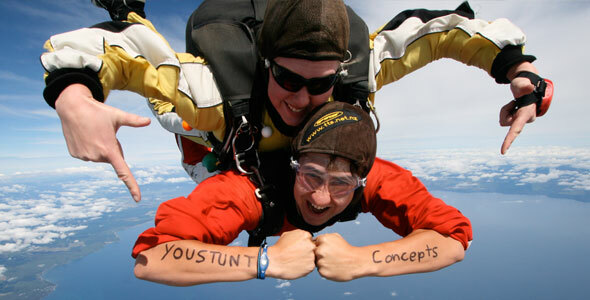 Youstunt Concepts GmbH is a professional team of stunt men, stunt women, coordinators and technicians. Our team-members are versatile and experienced in all kinds of action stunts. Whether its fire stunts or high falls, our team is the best choice for films, TV and shows alike. Health and safety always comes first with us and at Youstunt Concepts, we say "maximum effect - at minimum risk"
You're looking for an action highlight for your event? You need expert help or assistance with the planning of your event? You need/want ideas and entertainment concepts for a live-show? You want to present your business or your product in an action-packed scene? You are shooting a film and need the assistance of a stunt team? 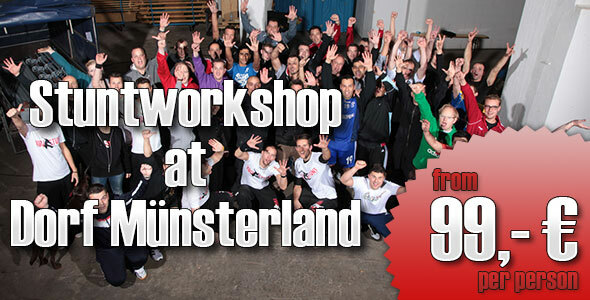 Welcome to Youstunt Concepts GmbH! More than 3 million people watched the "Crazy Action Stunt show" during the 5 years in which we conceptualized and produced the show (at Movie World, Germany). Here our stunts were incorporated into a thrilling story in which our actors set the scene by excellent acting coupled with breath-taking stunts. Entertainment for the whole family – surprises guaranteed. Youstunt Concepts GmbH offers creative and innovative concepts for shows, events and for brand new entertainment attractions and all this from a single source. Learn more about us on this website. Conceptualization, realization and performance of professional theme-based stunt- action shows for leisure and adventure parks! Walk-acts and mobile shows, theme-based and flexibly deployable. Ideal for leisure and adventure parks but also for street and town festivals or other big events. Present your company or product in an action-packed surrounding and leave a lasting impression on your business associates and customers! 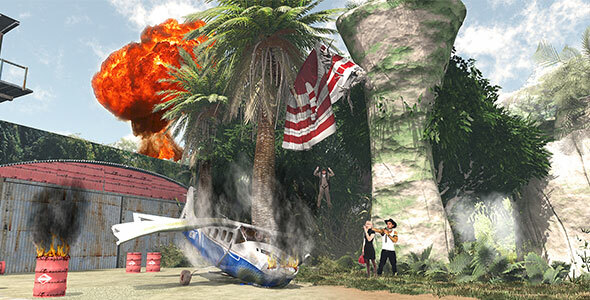 Whether action movie or photo shooting – be part of the show. Cops and robbers, cowboys and indians, you are the center of attention – it's all about you! Youstunt Concepts GmbH provides top-class action entertainment. Experience action you otherwise know only in films and TV.